Enter to win a 7-night Romantic Danube River Cruise aboard an award-winning AmaWaterways river cruise ship. Get a front-row seat in your riverview stateroom as you and a guest let wine and song carry you along the romantic Danube—muse for musicians, artists and poets for centuries, and now your inspiration. Each bend and twist in the river affords new surprises just waiting for you to discover: Vienna, “The Waltz Capital”; Bratislava, “The Coronation City of Kings”; and Budapest, “The Queen of the Danube,” forever remain timeless. The hills are alive with the sounds of music and beauty in Salzburg and in the breathtaking Austrian Lake District with a stop in Mondsee, home of the famed Basilica St. Michael and site of the wedding scene in “The Sound of Music"; and in the Czech Republic’s charming mountain town, Český Krumlov, boasting Bohemia’s second largest castle. 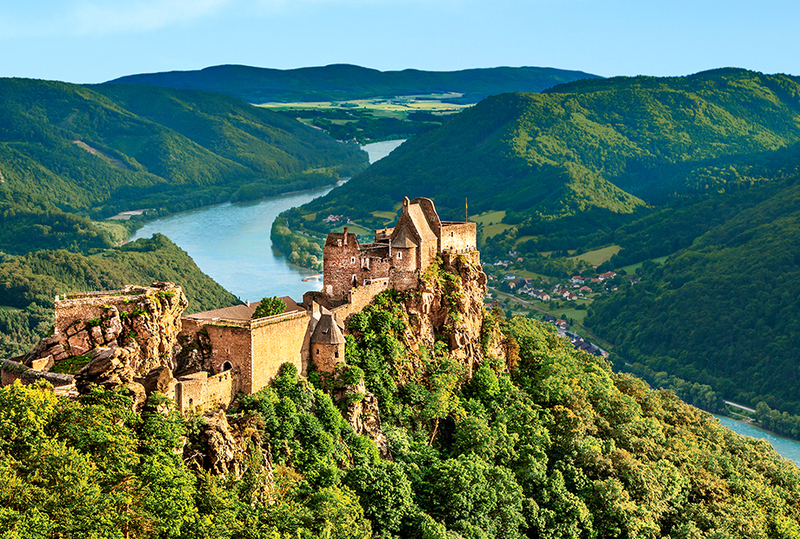 The sweet tastes of apricots, brandy and Riesling from the UNESCO-designated Wachau Valley, hearty beer at a German “Oktoberfest” and savory Slovakian specialties are yours to be savored. 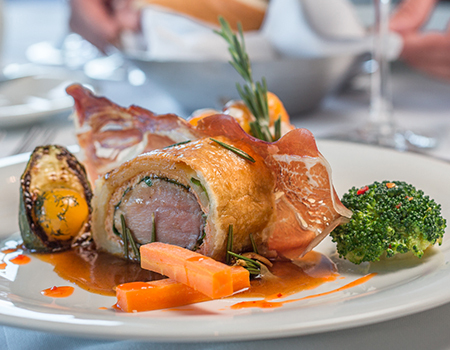 And with all meals, along with complimentary fine wine, beer and soft drinks served with lunch and dinner on board, and always included shore excursions with choices to personalize, you can simply relax and enjoy the ever-changing scenery of the romantic Danube. 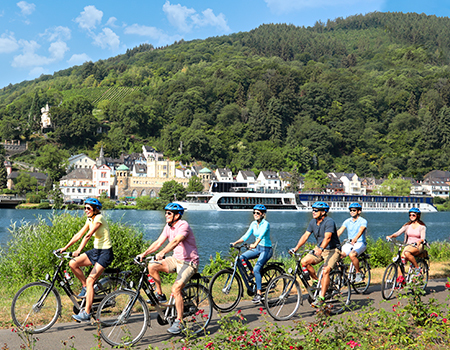 Visit the Sweepstakes page from February 1st, 2019 through February 28th, 2019 and sign up for a chance to win a free cruise for two with AmaWaterways! One entrant will be selected at random on or about March 11th, 2019 to receive the Grand Prize! All expenses and costs associated with the acceptance or use of the prize that are not expressly specified in the Official Rules as being part of the prize (airfare, government fees and taxes, fuel surcharges, and service charges) are the responsibility of Grand Prize Winner. No purchase necessary. The sweepstakes is open only to legal residents of the fifty (50) United States, the District of Columbia and Canada (except the province of Quebec) who are eighteen (18) years or older at the time of entry. Void where prohibited. Limit: you may enter only once per day. Contest is now closed. Congratulations to the winner, Debra G.! AmaWaterways Romantic Danube Luxury River Cruise Sweepstakes Official Rules NO PURCHASE NECESSARY TO ENTER OR WIN. VOID WHERE PROHIBITED. 1. Eligibility. 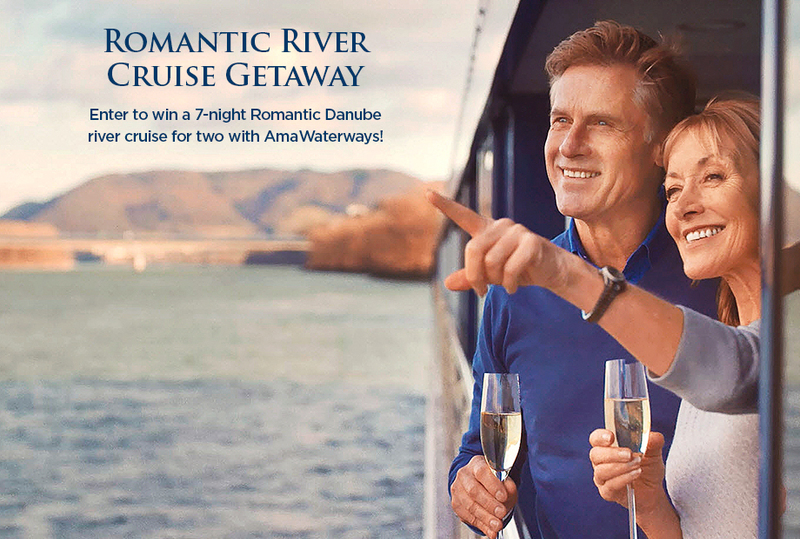 AmaWaterways Romantic Danube Luxury River Cruise Sweepstakes is open only to legal residents of the fifty (50) United States, the District of Columbia and Canada (except the province of Quebec) who are twenty-one (21) or older at the time of entry. Employees of Sponsors (defined below) and each of their respective related companies, as well as the immediate family (spouse, parents, siblings and children) and household members of each such employee are not eligible. The Promotion is subject to all federal, state, provincial and local laws and regulations and is void in Quebec and where prohibited by law. 2. Sponsors. The Independent Traveler, Inc. 200 Princeton South Corporate Center, Suite 330, Ewing, NJ 08628, and “AmaWaterways, 26010 Mureau Road, Calabasas, California 91302” (“Sponsors”). 4. Entry Period. The Promotion begins on Friday, February 1st, 2019 at 9:00 A.M. Eastern Time (“ET”) and ends on Thursday, February 28th, 2019, at 11:59 p.m. ET (the “Entry Period”). Entries received prior to or after the Entry Period will be disqualified. 6. Selection of Potential Winner. On or about Monday, March 11th, 2019, one (1) potential Grand Prize winner will be selected in a random drawing from among all eligible entries received. The odds of winning depend on the number of eligible entries received. Potential winner will be notified by email. If the potential winner cannot be contacted within five (5) days of the first attempt to contact him/her, Sponsors will select an alternate potential winner in his/her place from among all remaining eligible entries. 7. Requirements of Potential Winner. Except where prohibited, the potential Grand Prize Winner must complete and return an affidavit of eligibility and liability/publicity release (the “Affidavit/Release”) within ten (10) days of being notified. If a potential winner is a resident of Canada, he/she will also be required to correctly answer a time-limited skill testing question without any assistance in order to receive the prize. If a potential winner fails to sign and return the Affidavit/Release (or fails to correctly answer the skill-testing question) within the required time period, if notification or prize is returned as undeliverable, or if Sponsors determine in their sole discretion that the potential winner is ineligible, an alternate entrant will be selected in his/her place. Winner may be required to provide social security number for tax reporting purposes. Travel companion must sign and return a liability/publicity release prior to travel. If travel companion is a minor, the winner must be his/her parent or legal guardian. Unless prohibited by law, acceptance of a prize constitutes permission for Sponsors to use winner’s name, picture, likeness, address (city and state), and biographical information for advertising and publicity purposes, worldwide, without further compensation. 8. Grand Prize: One (1) winner will receive one (1) seven (7)-night cruise for two (2) people on any 2019 Romantic Danube sailing on the AmaCerto, AmaLea, AmaMagna, AmaPrima, AmaSerena, AmaSonata or AmaViola in one (1) cabin assigned per cruise details certificate with the exception of blackout dates in May and September 2019. Cruise and cabin are subject to availability. Prize does not include airfare, port charges, transfers, non-discountable fees, federal, state or local taxes, or any other cost or fee associated with prize receipt or use not expressly stated herein. Winner and travel companion must travel on same itinerary and are responsible for all necessary travel documents, including, but not limited to, passports and visas. Cruise must be booked by April 30, 2019 and must be completed by December 31, 2019. Approximate retail value is up to: $8,198. The actual value of the prize will vary depending on various factors. 13. Winners List. For the results, visit https://www.cruisecritic.com/contest/ama-waterways-february-2019. The list of winners will be available at this URL until Sunday, March 31st, 2019. If a potential winner is a resident of Canada, he/she will also be required to correctly answer a time-limited skill testing question without any assistance in order to receive the prize.